Seriously, though, USC is the team of the decade. The Trojans are 93-22 to Florida’s 87-31 through the first nine years of the 21st century, a sizable difference. You can point out the weakness of the Pac-10 all you want, but it is much harder to explain away the slew of top-rated recruiting classes and constant supply of high NFL draft picks USC has produced to back up its record. The Trojans have finished fourth or higher in the final Associated Press poll for seven consecutive seasons. The Gators have finished among the top 10 only four times in the decade. The Trojans were unranked in 2000 and 2001, spanning the end of the Paul Hackett era and the beginning of Pete Carroll‘s. The Gators were unranked in 2002 and 2004, Zook’s first and last years. The Trojans have won six of their last seven bowl games and are 6-2 overall for the decade. The Gators have won three of four bowl games under Meyer but were 1-4 from 2000 to 2004. The Trojans won 34 in a row from 2003 to 2005, a streak that ended with a BCS title loss to Texas in one of the most exciting games ever played. The Gators’ longest winning streak is 11, a number that would expand to 25 if they went undefeated this season. Florida’s trump card over USC would be its three national championships, a difference that would mean more if the rules of the BCS game had not changed significantly within the decade. USC, which destroyed Oklahoma to win the 2004 championship, would have played in the 2003 title tilt with the same BCS formula in use today. Instead, the Trojans sat out even though they were ranked No. 1 in both polls and would have been favored over championship-game combatants Oklahoma or LSU. On the surface, the USC-Florida question resembles the great Atlanta Braves-New York Yankees debate in the 1990s. Trust me, nothing irritated Marty Cohen more than hearing Braves fans or announcers touting them as the team of the 1990s when they won only one World Series to the Yankees’ three. The Atlanta argument: the Braves made the playoffs eight straight times from 1991 to 1999 (the ’94 season was canceled), while the Yankees’ first postseason trip was 1995. LSU, (the) Ohio State, and Oklahoma fans feel free to weigh in. 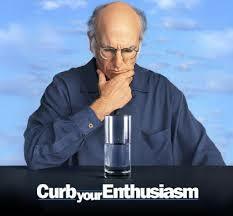 The seventh season of Curb Your Enthusiasm is set to begin on HBO on 20SEP09 at 9PM. Great to hear Larry and his friends are back. These are two must-read posts. There is no connection between these posts, in fact they could not be more dissimilar. Nonetheless, you should enjoy both. The Pentagon reassured troops Wednesday that it won’t ban tobacco products in war zones. Defense officials hadn’t actually planned to eliminate smoking — at least for now. But fear of a ban arose among some troops after the Defense Department received a study recommending the military move toward becoming tobacco-free — perhaps in about 20 years. Press secretary Geoff Morrell pointedly told a Pentagon news conference that Defense Secretary Robert Gates is not planning to prohibit the use of cigarettes, chewing tobacco or other tobacco products by troops in combat. This is a review of the Primo Oval XL grill and smoker. I have been pondering this purchase for some time and I thank all of you for your comments and suggestions. I purchased the Primo to replace my Medium Big Green Egg (BGE). 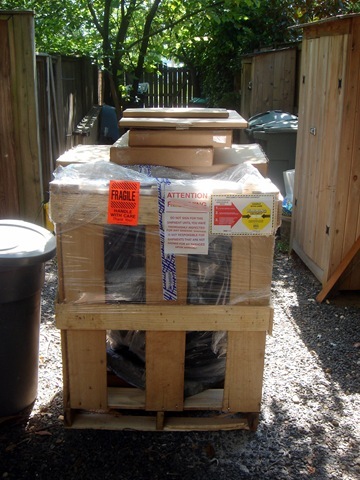 I was not replacing my BGE because I was not satisfied with it. To the contrary, the BGE was the best grill and smoker I have ever used, and I will continue to keep my BGE recipes listed here. I replaced it only because I needed a bigger grill. That being said, here are my experiences with my new Primo. This is one of the down sides to the Primo, that is, there are fewer Primo dealers than BGE dealers. Thus, it may be necessary to order the Primo and have it shipped. I could not find a Primo dealer in the D.C. area. The Trojan offensive line is ranked No. 1 by Athlon Sports. USC is returning five starters from last season including Left Tackle Charles Brown, Left Guard Jeff Byers, Center Kristofer O’Dowd, Right Guard Nick Howell, and Right Tackle Tyron Smith. Aaron Corp will appreciate the protection this group provides. NASHVILLE, Tenn. – Former Titans quarterback Steve McNair has been killed. Police said McNair suffered a fatal gunshot wound to the head in downtown Nashville.